As 5th grade teachers, we have seen our students misspell the same words over and over in their writing. We finally said, "Enough is enough!" 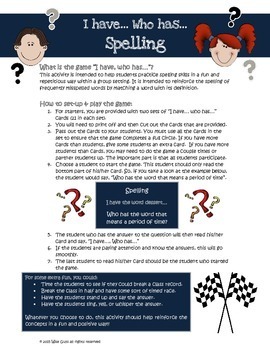 We have developed this I Have Who Has resource game to help your grades 3-5 students learn how to spell words that they commonly do not spell correctly in their writing. -two different I Have Who Has games that your students can play as a class to help them differentiate between over 50 common misspelled words. 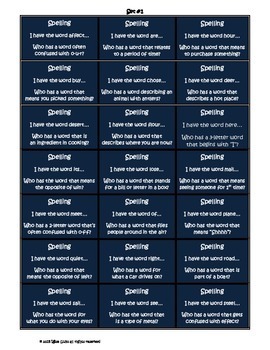 Click here for our 11 page frequently misspelled word list and activities!